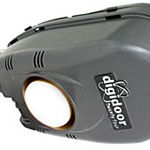 Durban Door Services | Industrial Garage Door Repairs Services Maintenance. 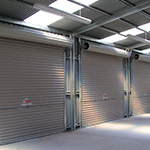 Industrial Garage Doors Repairs, Services & Maintenance. 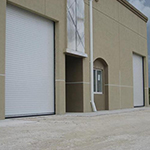 To ensure a long-lasting and hassle-free life span of your industrial garage doors, implement a regular maintenance plan. Durban Doors Services offer service arrangements, that can be worked into your business's annual schedule. No worries: Industrial garage door maintenance plans can save you the stress of remembering to schedule the job every 6 to 12 months. Long term costs: Ultimately you will save money in the long run. 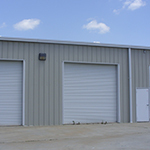 A well maintained industrial garage door is more likely to last longer than an unmaintained one. If a maintenance plan is not what you are looking for, Durban Door Services offer one-off industrial garage door service. 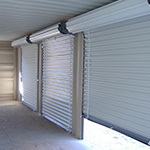 A service plan would be the best option for doors that are not used on a very regular basis, like storage units. Servicing includes slat curtain alignment, spring adjustment, lubrication of working parts, securing of loose components. 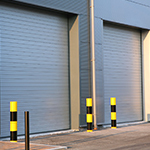 When does your industrial garage door need a service? When opening and closing the door becomes slower and harder to do by hand. When your motor begins to sound louder than usual. When the door sticks in the guide rails. When you hear unusual grinding noises from the barrel. Sometimes life will throw a curve ball at you and all of a sudden, your industrial garage door needs to be repaired. 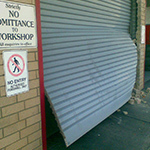 Durban Door Services is quick to respond to industrial garage door repairs. Our team of experienced fitters are available during normal working hours or after hours by arrangement. The door slats and bottom rail have been bent by impact damage - we always straighten if possible first, before replacement of parts in an effort to contain costs. When any of the mechanisms/chains and sprockets are broken or worn. When side guides or covers are loose. When door slats and guides need alignment and lubrication. When replacement of rusted slats, bottom bars and guide rails is required. When storm damage or extreme winds blow the slat curtains out of the guide rails. When break in or forced entry occur. For any further information please don’t hesitate to contact Clive Osborne at Durban Door Services. 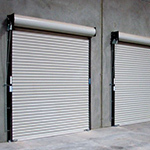 We are available to carry out repairs and services of industrial roller shutter doors.